Discussion in '"Umm, Photography?"' started by djkms, May 4, 2011. Thanks...taken with a galaxy note 4 camera phone with everything set to automatic and under the blues. Yes sir it Wasent real big the headwas a tennis ball in size. We found it on two different night along a pier by our hotel. That thing was awesome! I saw it at Macna in DC. Eye catching coral was the vendor! Nope, saw it online, definitely cool! 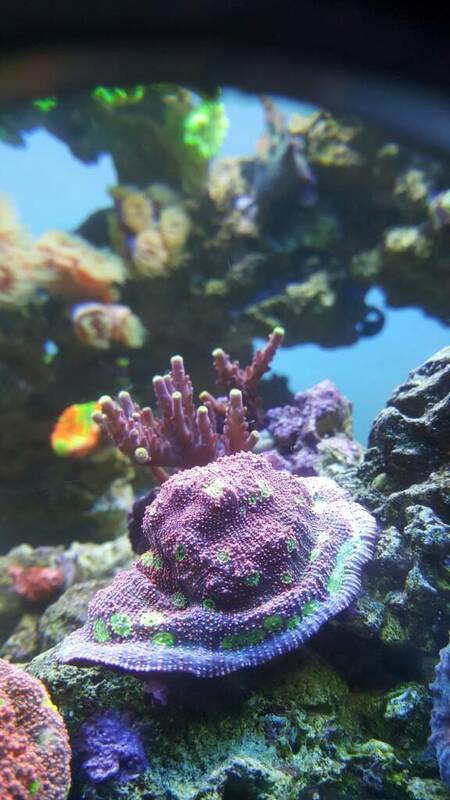 They also had an all acan tank! Haddonisreef and SynDen like this. Just found this thread, love it. SkyShark, SynDen and kchristensen8064 like this.